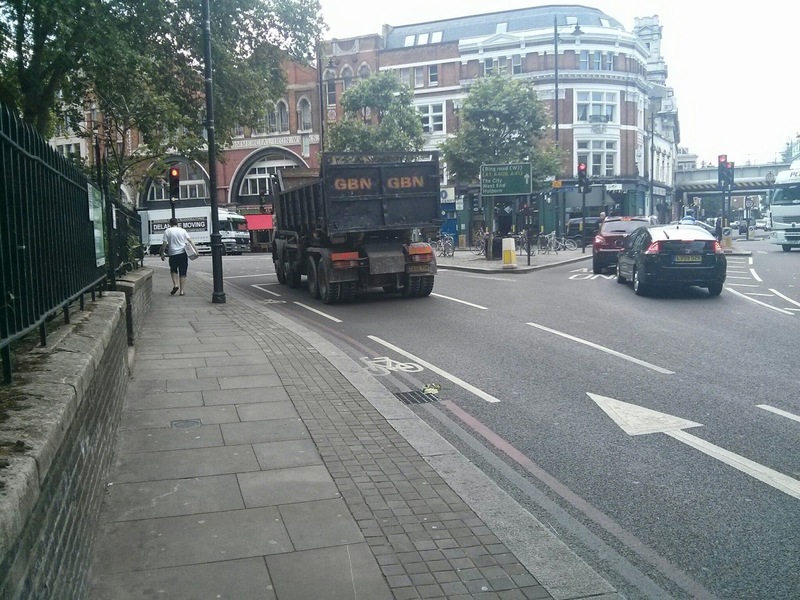 As I have previously reported, the A10 in Hackney is the most dangerous road in the borough to cycle on, with 26% of all cyclists killed or seriously injured in collisions from 2004-2014 occurring on it, and a third of all collisions involving buses and cycles resulting in a injury to the cyclist also occurring on the A10. 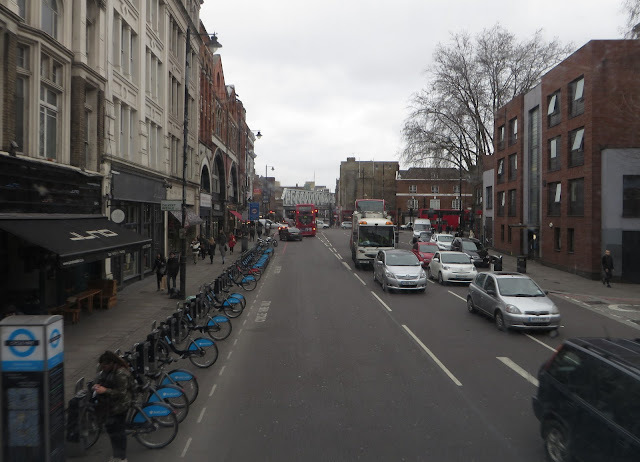 Shoreditch High Street is the southern end of the A10 in Hackney, part of the Shoreditch Triangle and one of the busiest cycling routes in the borough as it links Hackney Road, Kingsland Road and Old Street with the City and Commercial Street. It also suffers some of the highest level of cycling casualties in Hackney. I'm not sure why the space taken from the carriageway was reallocated to a larger island; surely it would have been a perfect opportunity to create a protected cycle lane for people cycling from Hackney Road onto Shoreditch High Street. 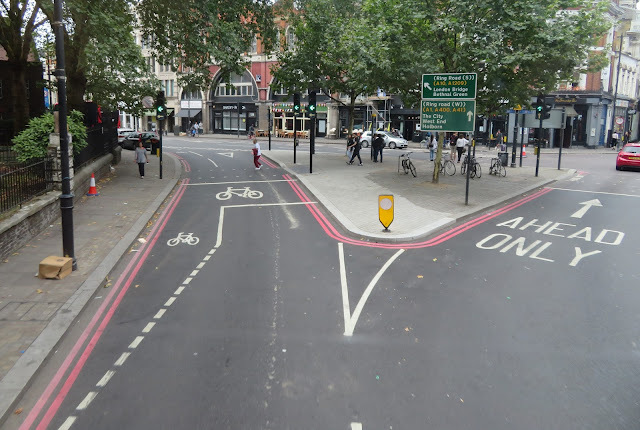 Even better would be to close this slip road to traffic entirely to provide a dedicated protected left turn for those cycling onto both Shoreditch High Street as well as for those cycling onto Old Street. The other measure consulted on, and built, was at the point where Quietway 13 crosses the road, with the main intervention being removal of a southbound traffic lane to create an island where cycles turning into Rivington Street can wait, along with all traffic to turn into Calvert Avenue. 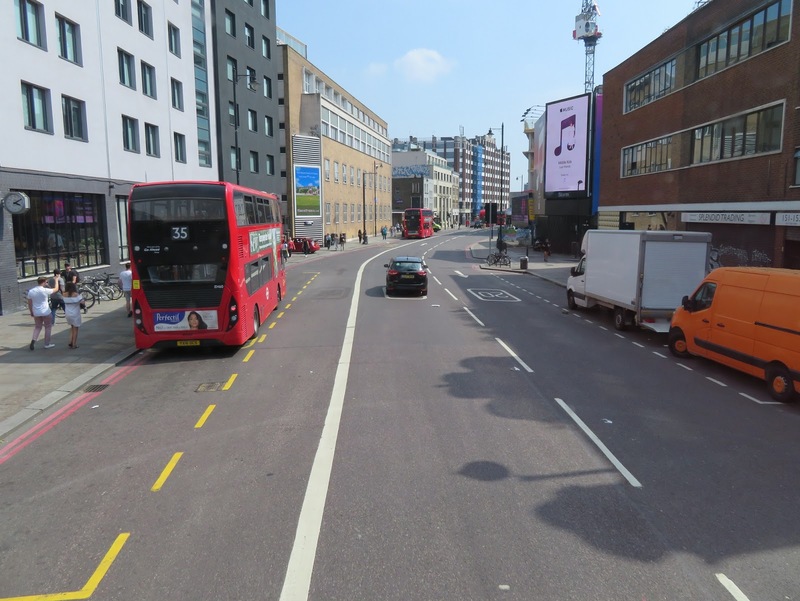 It also proposed reducing the width of the footway 'to allow larger vehicles' to turn into Calvert Avenue, otherwise known as quietway 13! 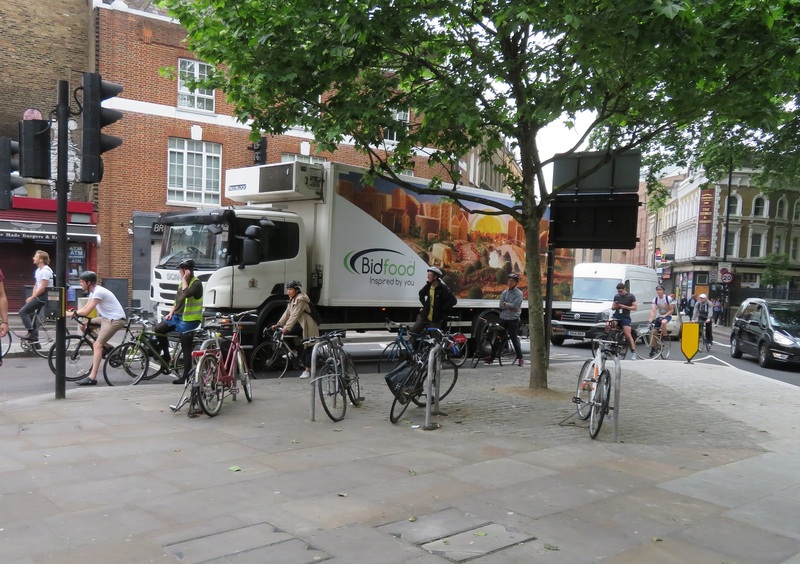 The consultation responses showed that 50% of respondents did not support this scheme, with many believing it did not go far enough to protect people on bikes. 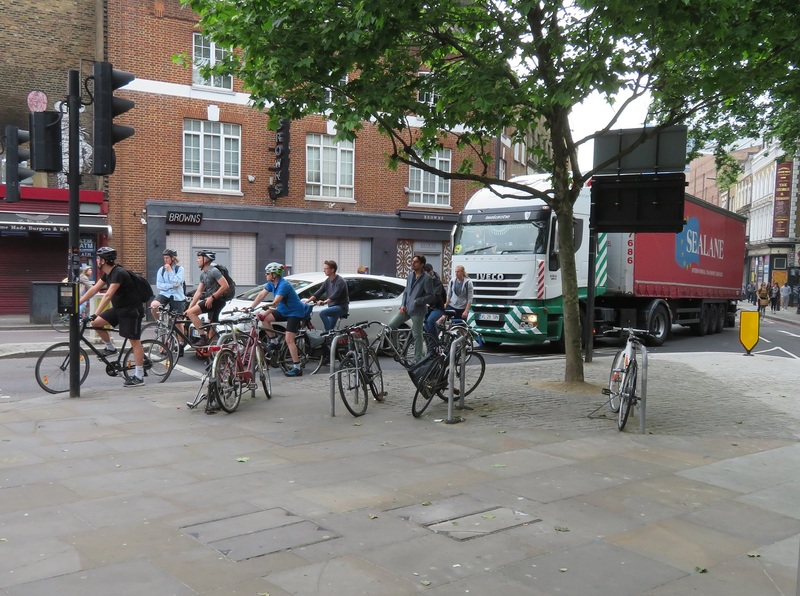 The Hackney Cycling Campaign expressed concern that the proposed crossing would not help vulnerable and unconfident cyclists and they recommended that a segregated and signalised cycle crossing should be provided. 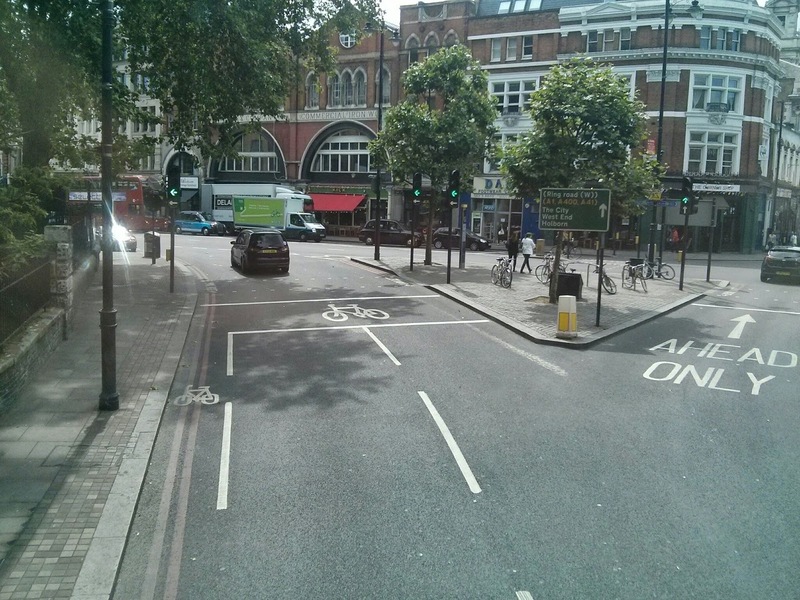 Quietways are a network of streets that are safe for ‘less-confident cyclists’. We now await the installation of this bollard for the FOURTH time. Of course, we expect a different outcome. 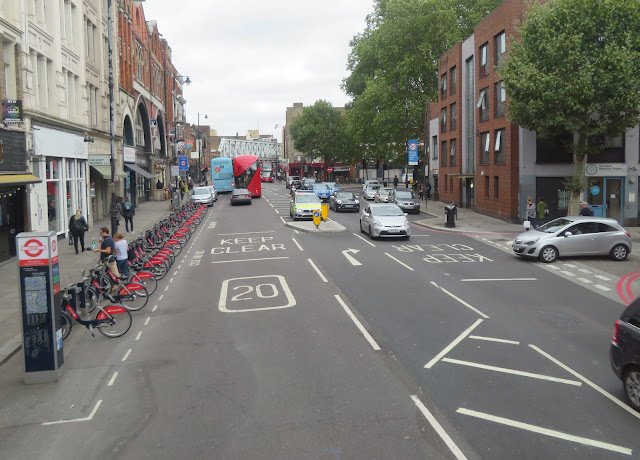 I was pleasantly surprised to read the response from Hackney Council to this scheme; they believed a more ambitious scheme could be developed to further improve safety at the junction. They recommend a segregated junction crossing for cyclists as well as the segregation of the entire length of Shoreditch High Street for a cycle lane. In relation to the proposed bus lane, the Council also said that they prefer cycle segregation along Shoreditch High Street rather than a bus lane on the southbound lane of Shoreditch High Street. 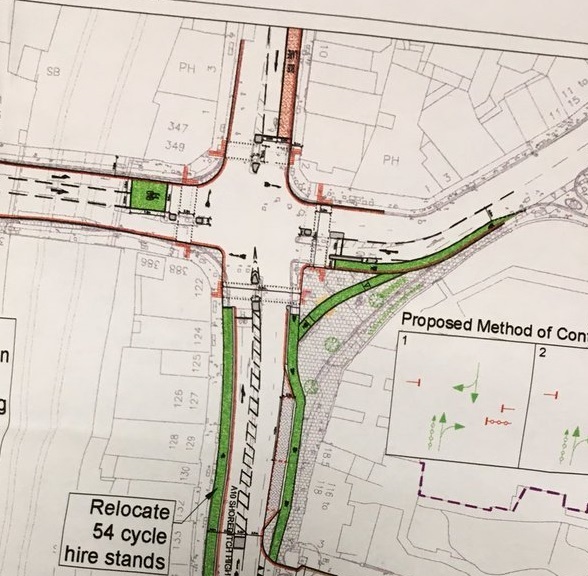 As a result they oppose this proposal as they are concerned that if a bus lane were to be introduced in the short term, it may be difficult to subsequently remove it. 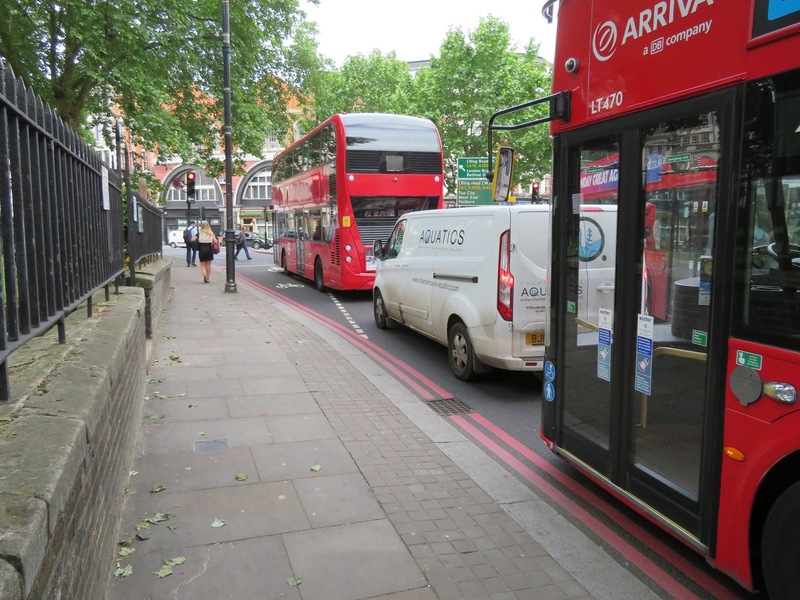 To hear Hackney Council suggest that TfL should not create a bus lane, in order to instead create a segregated cycle lane would have been unthinkable just a few years ago and shows the huge progress within the mindset of some members of the council over the last couple of years. 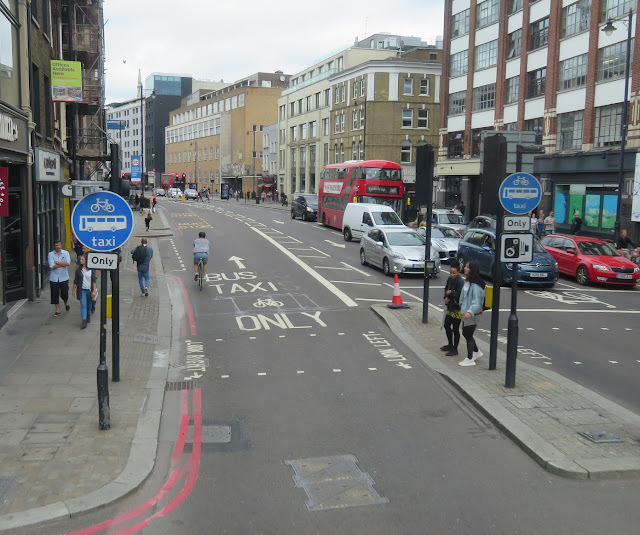 TfL responded that significant changes to the existing layout of Shoreditch High Street are not proposed as part of this scheme but segregated cycle lanes will be considered as part of the wider Shoreditch Triangle scheme. Therefore it is thoroughly depressing to read the Mayor of Hackney confirming that Transport for London have rejected these plans. The council claim that TfL believe that the road width and modelling would not support a segregated track north and southbound and are therefore are proposing a southbound segregated cycle track and a bus and cycle only lane northbound. Whilst TfL are willing to block this scheme they will not even fund it as the Shoreditch Triangle scheme is reliant on third party funding from proposed and future nearby developments and that the withdrawal of Bishopsgate Goods Yard has left a shortfall in the funding to implement the scheme. 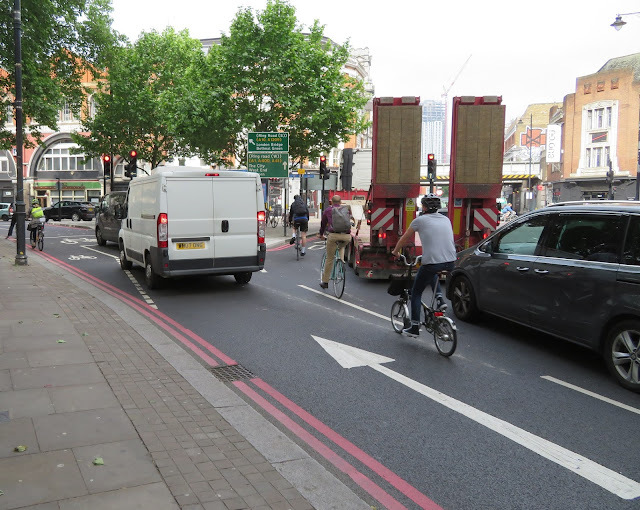 The discussions between Hackney and TfL on the Shoreditch Triangle scheme have been put on hold so it appears that the road layout will remain in its current state for many years to come. 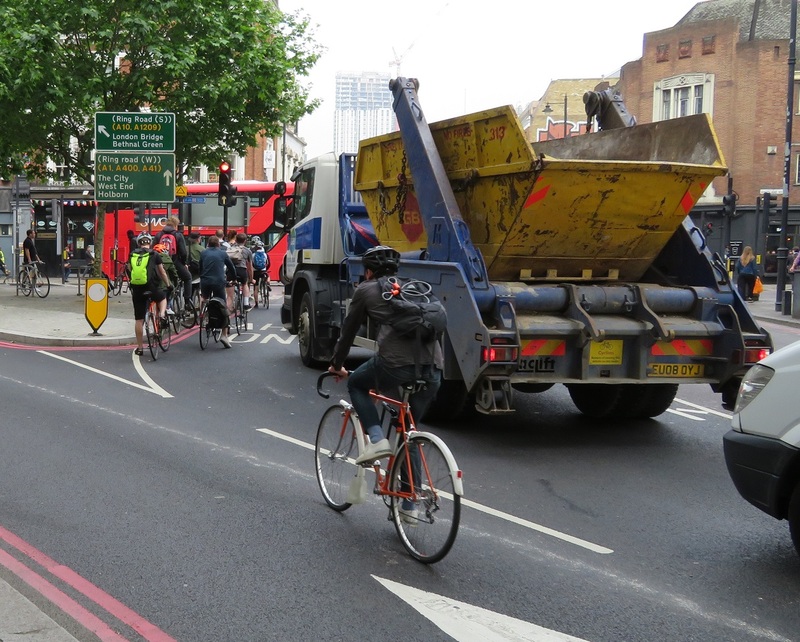 Whilst TfL continue to refuse to allow protected space for cycling, something that could also improve bus journey times, it is likely that many more people will continue to be seriously injured or killed whilst cycling in Shoreditch.